Radon is a naturally occurring radioactive gas. It is odorless, colorless, and tasteless. The EPA estimates that among non-smokers, it is the number one cause of lung cancer. To know if your home has radon gas present, testing is required. This typically involves placing a radon monitor for a minimum of 48 hours. 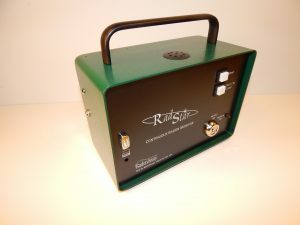 To give you the most accurate measurement, we provide radon testing with RADSTAR continuous radon monitoring (CRM) machines from Accustar Labs. Your results will display measurements taken hourly and graphed with an average reading. With this information, you will know if levels are within the range deemed safe by the EPA or if mitigation is recommended to reduce radon levels. Click below for a sample graph.